The SDF-018 marking never appeared on the VF-4 in Flashback 2012. It was clearly visible on the tail in both Bandai’s official product photographs as well as on the box art – “SDF-018”. 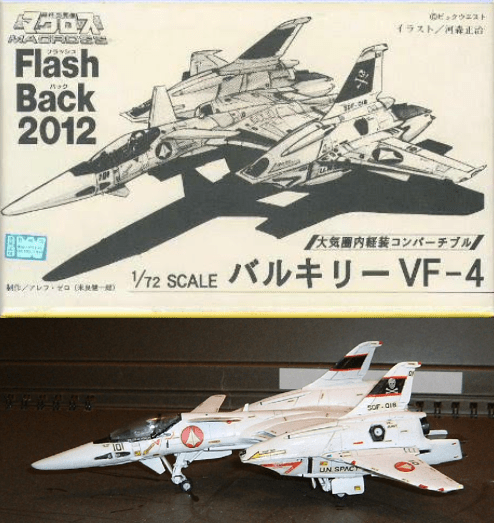 But in Flashback 2012, the VF-4 was shown alongside the Megaroad-01. So what was the story behind the SDF-018 marking? Well, there’s a story behind it of sorts. The full version of which is not and might never be known. While the SDF-018 marking on Bandai’s Hi-Metal R has been attracting attention because it’s the most user-friendly, relatively affordable transforming toy to include it, it is far from the first product to do so. Wave’s 1:72 VF-4 model kit. In March, 2018, Wave released a 1:72 scale model kit of the VF-4 (due to be released again this month as a deluxe version in Max & Milia colors). The background of the box was a recreation of the bridge of the Megaroad-01 – an obvious call-back to the framing of the shot that the VF-4 first appeared in in Flashback 2012. But again, the VF-4 itself had the SDF-018 markings. Close-up of the decal sheet from Yamato’s VF-4G. 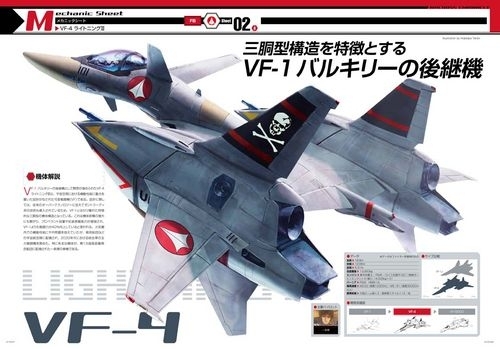 Similarly, Yamato’s release of the VF-4G back in 2012, despite being the VF-X version, came with a decal sheet that allowed customers to customize the markings of the toy as they liked. And included on this sheet was, once again, the SDF-018 marking. So, there’s obviously a story here somewhere. 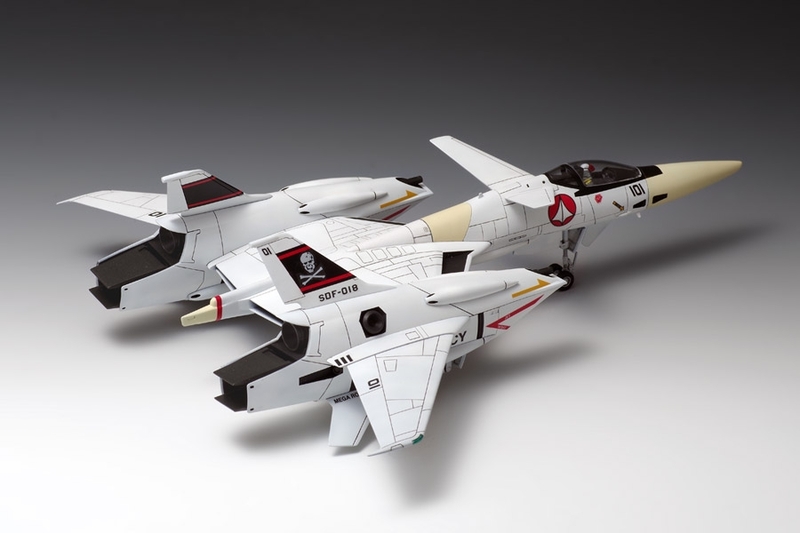 Yet no printed Macross material makes reference to the VF-4 and the SDF-018. 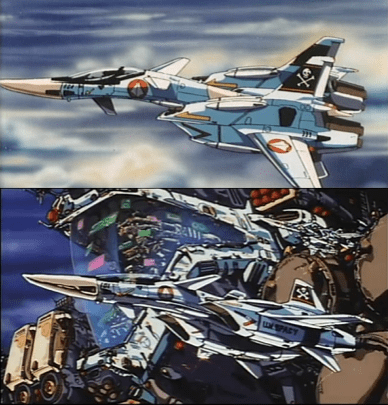 There is no SDF-018 marking in the illustrated entry on the VF-4 in the Macross Chronicle. Not even the more recent Variable Fighter Master File has any mention of it. The origin of the SDF-018 marking can be traced back to a garage kit from over 30 years ago. But one with an official twist. 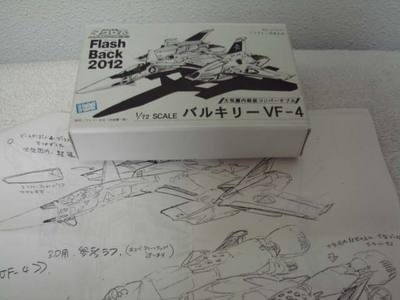 In the (presumably) late 80’s, garage kit maker Musashiya was one of several groups that produced a kit of the VF-4. 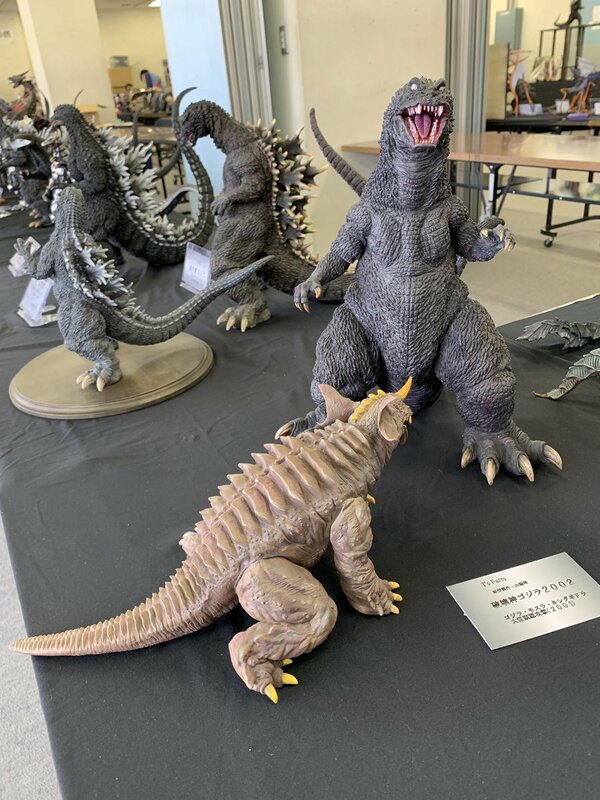 What set this particular kit apart though was several contributions by Shoji Kawamori himself. Not only did he provide a rough conceptual sketch of long-range boosters for the VF-4, he also did the box illustration for the kit. On the tail of the VF-4 in this illustration was the SDF-018 marking. No explanation was given as to why this designation was given to the valk, although it’s probably a safe bet to assume to Kawamori had some sort of story in mind when he did so. 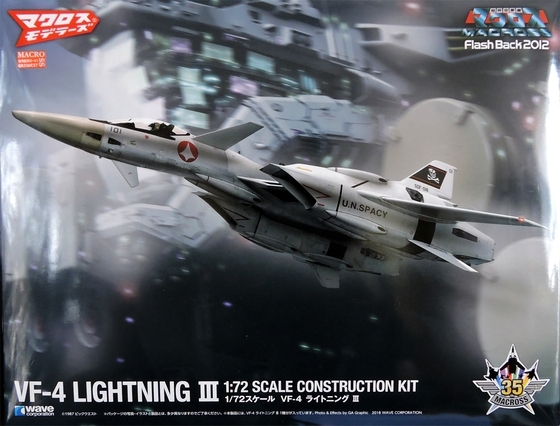 For fans at the time, this garage kit was one of the first physical interpretations of the VF-4 that they had, and would remain the best version available for many years. With some of these fans moving on into model kit/toy manufacturing later in life, the inclusion of the SDF-018 marking was a homage to the garage kit that they grew up with. And for as long as the marking remained in the background as an extra decal, it was just that – a homage. 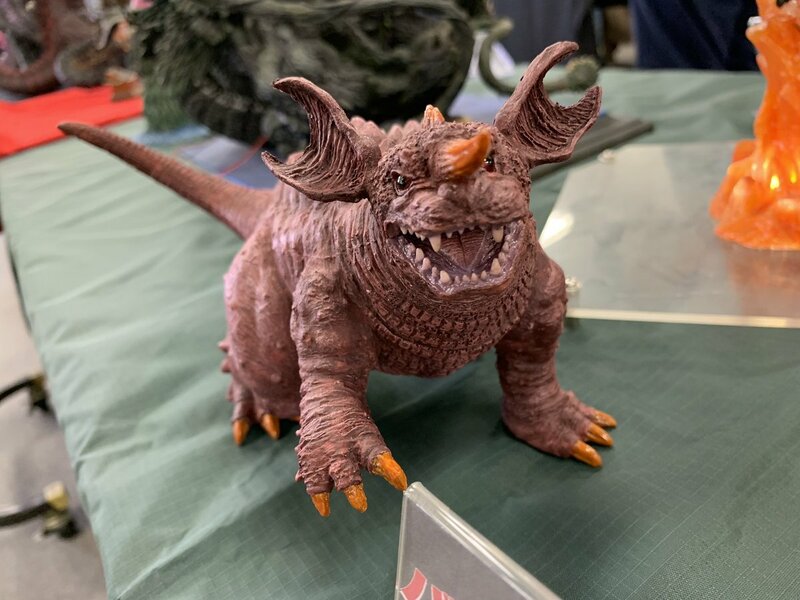 Why Wave and Bandai made the decision more recently to highlight this particular detail in both official art and product photos is a question that has yet to be answered. 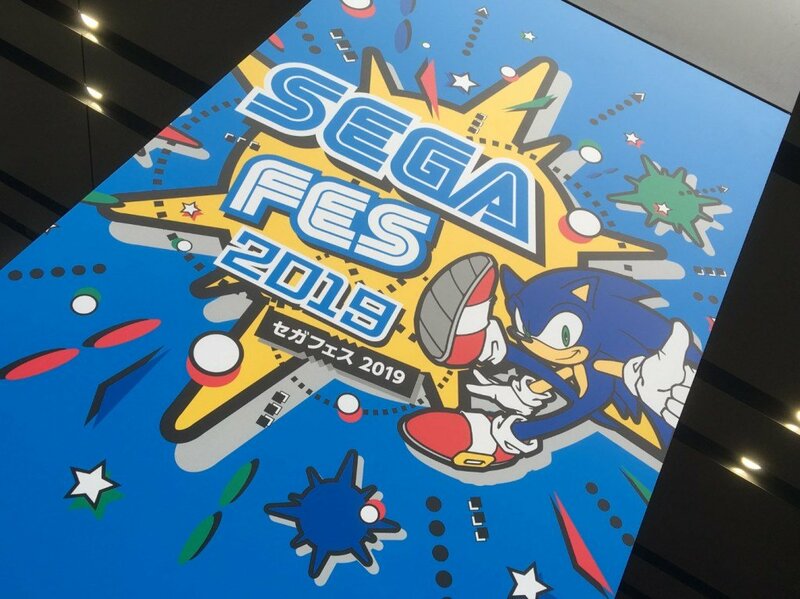 Hopefully it’s something they’ll address at some point in the future. Thanks to Egan Loo, Adrian Lozano and the Wiki entry on the VF-4 for information and assistance in researching this piece.